Wade Richardson’s success as a trial attorney is a result of the good judgment, wisdom, and experience he brings to bear on behalf of his clients, in addition to his willingness to provide an extra level of advocacy focused on the client’s long term goals and objectives. He has extensive experience in tort and business litigation, including copyright, trademark and other intellectual property or Lanham Act disputes, product liability, fraud, business competition and dissolution claims. Wade has handled and tried high risk cases to successful verdicts. He has represented companies in the defense of catastrophic injuries, including multiple fatalities, quadriplegic, paraplegic, and burn cases. 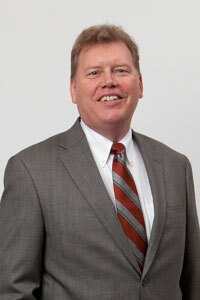 In 2006, Wade was selected by the Birmingham Business Journal to its first Who’s Who in Law and Accounting. Wade represents multiple small and medium sized companies and closely held businesses. He also represents clients in the motorsports industry including race tracks, sanctioning organizations, and a major auto racing corporation. He represents a major railroad, a major manufacturer of vehicles for the utility industry, in addition to individuals or companies in the intellectual property, sports and entertainment arenas. Wade has also handled matters for non-profit and charitable organizations. Wade earned his Juris Doctorate from the University of Alabama School of Law in 1986, where he was named a Hugo L. Black Scholar, received the Order of the Coif and Bench and Bar Honors, and served on the Alabama Law Review from 1984 – 1986. He received his Bachelor of Science degree from the University of Alabama at Birmingham in 1983. Wade is admitted to practice before all the federal and state courts in Alabama, the Eleventh Circuit Court of Appeals, and the United States Supreme Court. He is a member of the Birmingham Bar Association and the Alabama Bar Association, as well as the Defense Research Institute, Alabama Defense Lawyers, the National Association of Railroad Trial Counsel, and the International Association of Defense Counsel. Named one of The Best Lawyers in America®, Wade also has an AV Preeminent Rating ™ by LexisNexis® Martindale-Hubbell®. Wade was born and raised in Birmingham, Alabama. He and his wife, Shellie, have four children.